In a statement released online on Wednesday, Nigeria's anti-graft agency, EFCC, reacted to the fraud allegations against the national chairman of the APC, Adams Oshiomhole. 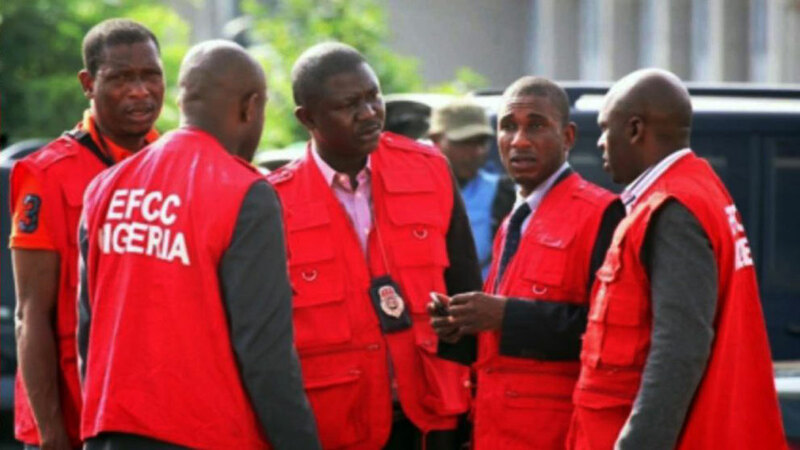 The Economic and Financial Crimes Commission (EFCC), has reacted to a suit filed by an Edo State-based activist, Osadalor Ochie, challenging the failure of the anti-graft agency to file fraud charges against former governor Adams Oshiomhole. Ochie had asking the court to compel the EFCC to conduct investigations into allegations of fraud against Oshiomhole, who was governor of Edo State from 2008 to 2016. 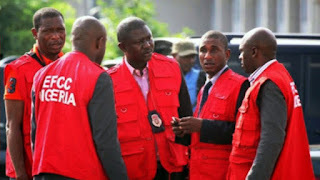 EFCC spokesman, Wilson Uwujaren said the Commission frowns at the attempt by counsel to the plaintiff, West Idahosa to mislead the court with claims that the Commission had been served. According to him, " had the Commission been served, it would have been in court. Ours is an agency that holds the judiciary in high esteem and we will never disregard summons by courts of competent jurisdiction. The truth is that the Commission did not receive any summons." Bishop Osadolor Ochie, a Benin- based cleric is seeking an order of mandamus to compel the Commission to arrest, investigate and possibly prosecute Oshiomhole for alleged fraud perpetrated during his tenure as governor of Edo State."